Solid high school science curriculum resources that aren't tainted by evolutionary assumptions are hard to come by. 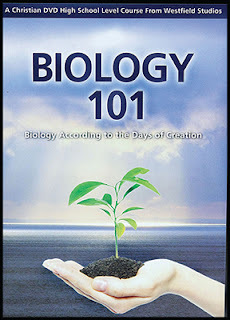 That's why it was so wonderful to find filmmaker Wes Olson's Biology 101 DVD series. It proceeds from a young-earth 6-day-creation perspective, but this isn't so much a specifically creationist resource as a solidly biblical one. Olson isn't always talking about creationism and evolution, but is instead in awe of what God has done. That awe shows up in all he says. Now there are time when matters of creation do come up. For example, in talking about genetics he throws in the quick comment that there are only three people who have not come about by the combination of their parents' DNA: Adam, made from the earth, Eve, made from Adam, and Jesus, made from Mary's DNA and the Holy Spirit. The creationist perspective also comes out in how this look into earth's various lifeforms is broken up. Olson has ordered the segments by what day in the creation week that the organism was made. So, we start with plants on the third day, then look at aquatic and avian creatures which were made on the fifth day, and so on. "Ostriches are the largest birds, standing over eight feet talk, and the fastest two legged runner, sprinting nearly 45 miles per hour. Roadrunners, on the other hand, have a top speed of only 17 mils per hour, chasing lizards and snakes. Coyotes have a top speed of nearly 30 miles per hour, almost twice the speed of a road runner. Just in case you were wondering." "...incredibly the gene for having 6 fingers on one hand is dominant over the gene for having only five fingers on one hand, but practically everybody carries two copies of the five-fingered gene, which is why you almost never see someone who has six fingers on one hand." Six fingers is dominant? I'm going to remember that. And in remembering it, I'm going to remember the difference between recessive and dominant genes. This is meant as a high school biology course. However, it is only 4 and a half hours long, and while it comes with a 118 page textbook (on pdf, stored on one of the DVDs) it is less comprehensive than a high school biology course would need to be. So this would make a wonderful foundation for a course, but other materials would be needed to supplement it. The 9 episodes vary in length from as short as 15 minutes to as long as 44 minutes. The course material is for ages 15 and up, but the content is appropriate for all ages. This focus on all-ages appropriateness does mean the discussion of our reproduction system is done in the broadest of strokes. We learn about how children are a combination of their mom's and dad's genes but no mention is made of exactly how those genes get mixed. 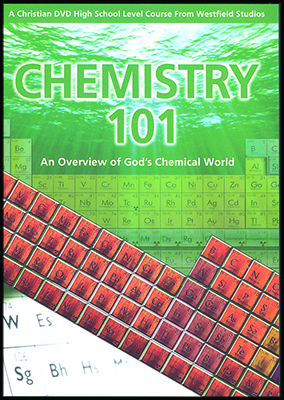 I'd highly recommend this to any Christian high school science teacher – whether they use it in whole or part, there's sure to be lots of it they will want to show their classes. It would also be an excellent supplement for any Christian child attending a secular high school; this is the perspective they'd be missing. 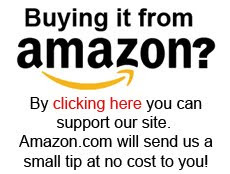 Families with an interest in this subject matter might also find this worth buying. I should note that while I gave this an 9 rating, that was for how it rates as an an educational resource – I can't think of any better. But from a solely entertainment focus, this would only score a 7. If you want to learn biology, this a wonderful method. If you want to be entertained, there are many more entertaining films out there. You can find out more at the Biology 101 site and check out the 14 minute first segment and introduction down below. The 4-DVD Biology 101 set is $70 US on the website, but seems to be cheaper at Christianbooks.com and Amazon.com. Wes Olson has also produced a Physics 101 series and a Chemistry 101 series. I haven't seen the Physics 101, but have had a chance to look at the Chemistry 101 series. I thought it was even better. Olson's approach to teaching chemistry is to lay it out as it was discovered – we go through it historically, learning about one discovery after another. I was rather surprised about how much of our knowledge of chemistry has only been discovered in the last 150 years. This historical approach is brilliant and fascinating. I watched this one simply because I couldn't stop. But at 11 hours long it is a little over twice the material of the Biology 101 series....so I'm not done it yet.